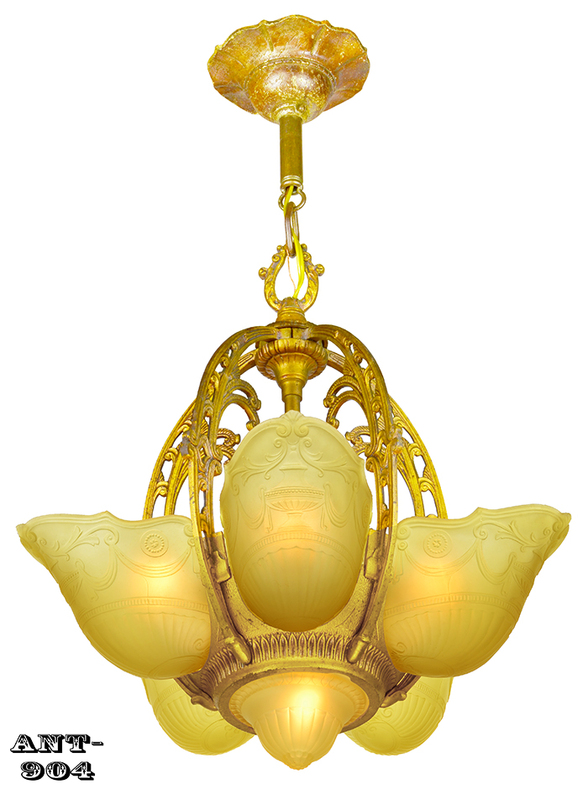 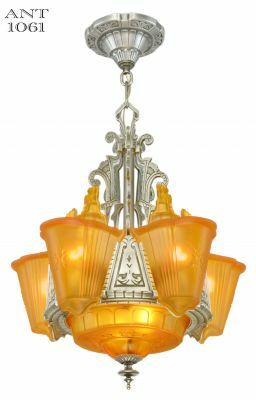 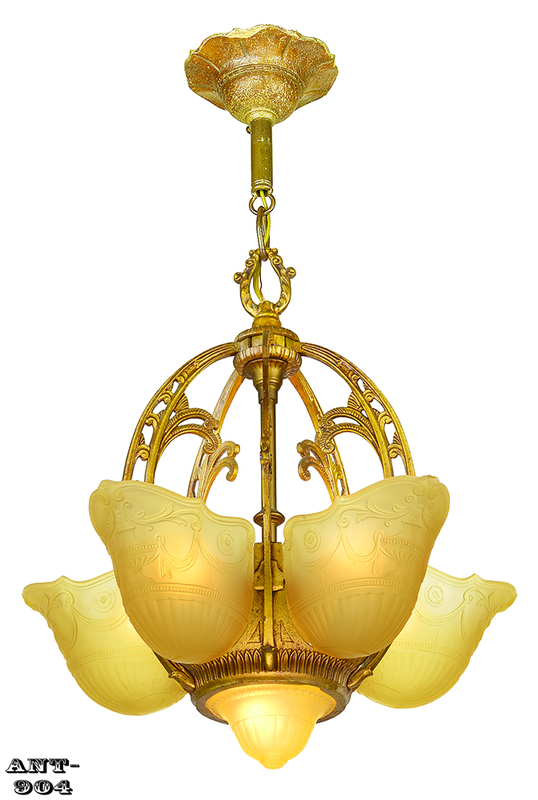 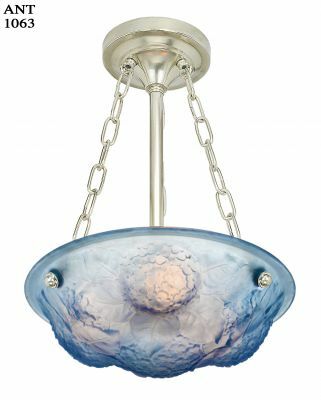 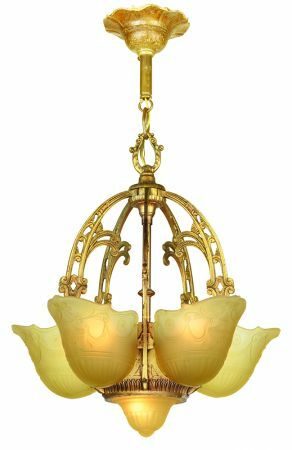 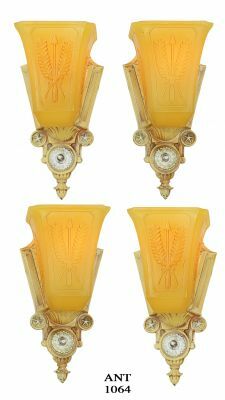 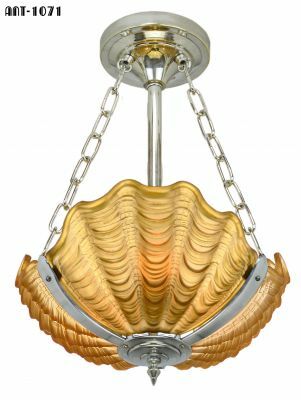 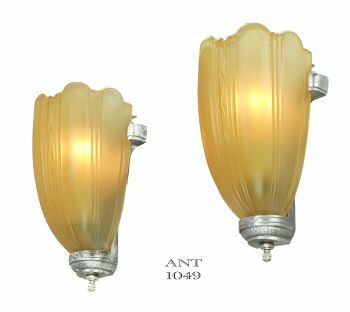 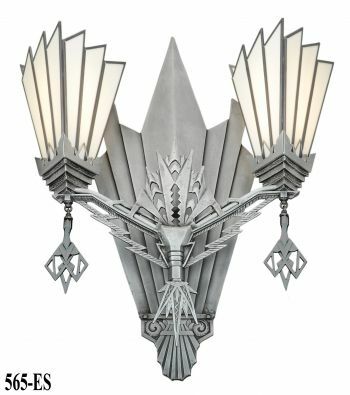 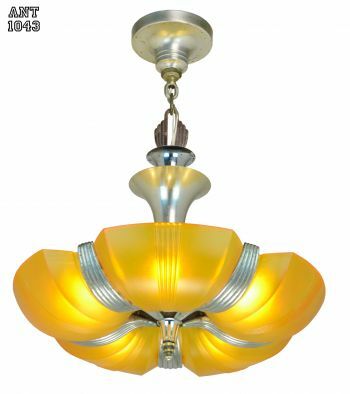 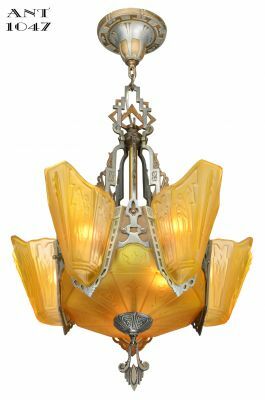 Nice original 6 slip shade chandelier, Art Deco Circa 1935 manufactured by Liteolier. 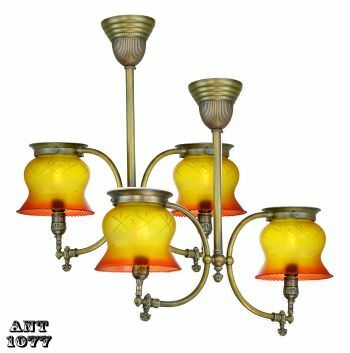 Comes complete with totally original, lovely amber shades. Nice original antique old-gold color finish on a cast iron frame. 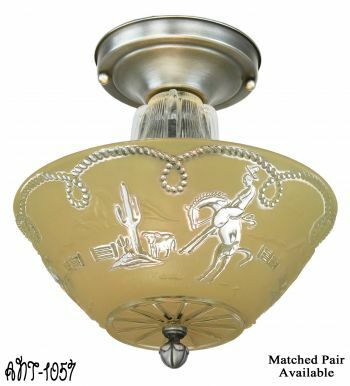 Naturally, as with any antique finish, there will be the odd areas of discoloration (as can be seen in the pictures). 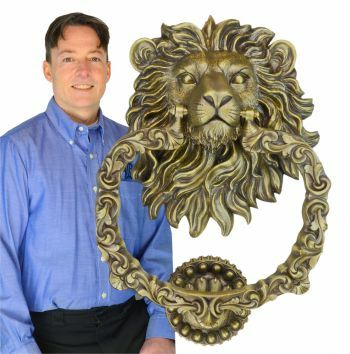 We do not attempt to change these quality aging effects...we just need to mention them. 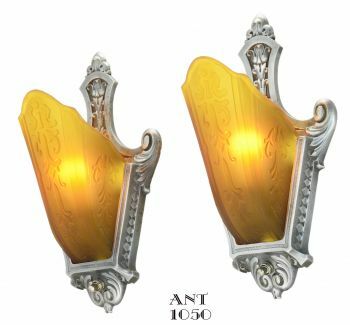 The shades are amber in color, and are in remarkably good condition. 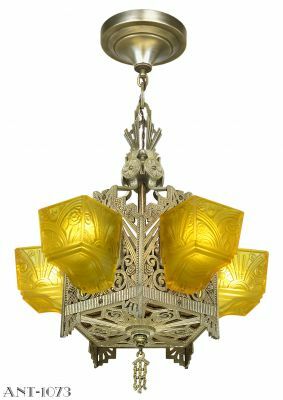 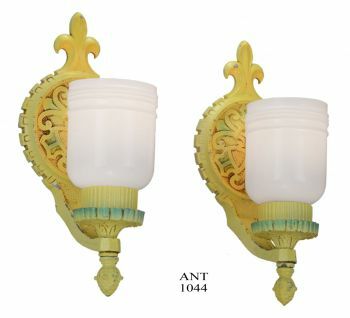 The bottom shade has just a slightly different coloring...but this is normal in top-of-the-line, 6-shade chandeliers. 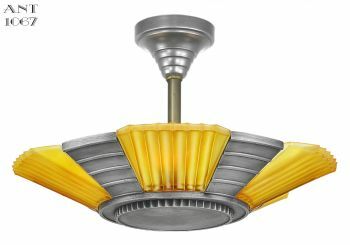 Completely re-wired to UL standards in our UL lamp shop. 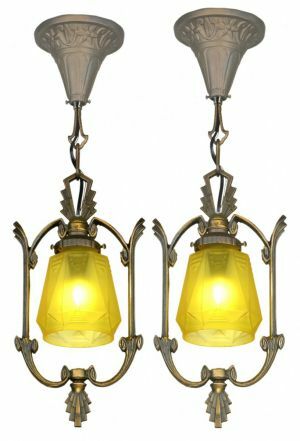 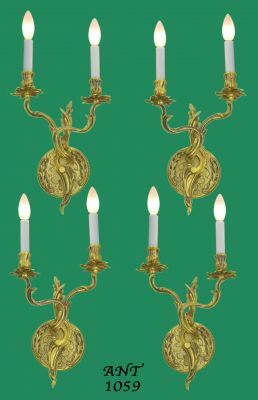 This chandelier now has new medium base standard sockets to each of the five slip shades...while there is a smaller candelabra size socket for the bottom shade, simply since it will only take a smaller bulb due to the small size of shade there. 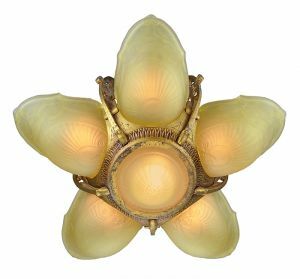 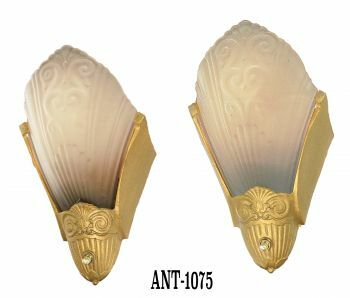 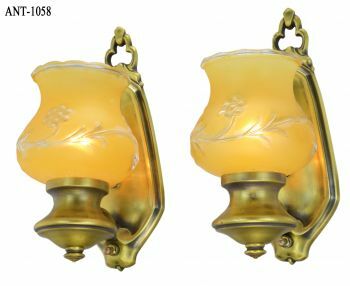 Fully capable of 100 watt incandescent bulb in each of the five slip shade sockets, and a 75 watt candelabra bulb for the bottom shade. 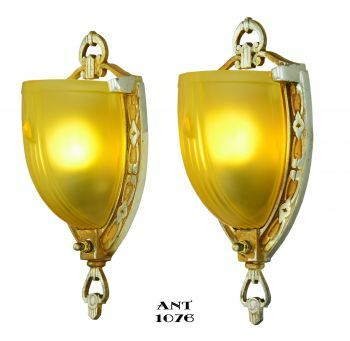 It can be lengthened with the addition of chain links, which we could do for you. 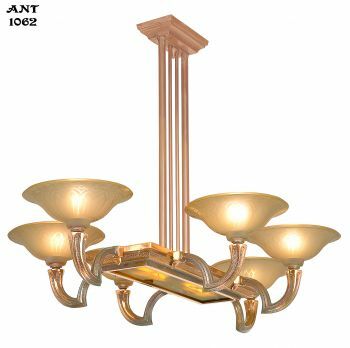 Please contact us if you would like a quote. 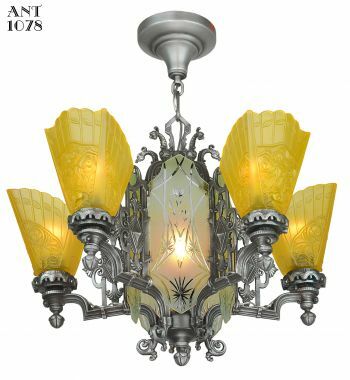 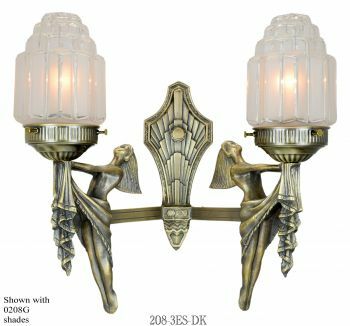 A full mounting kit comes with the chandelier. 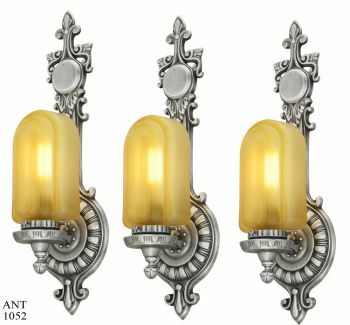 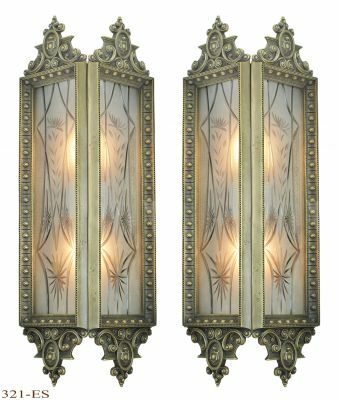 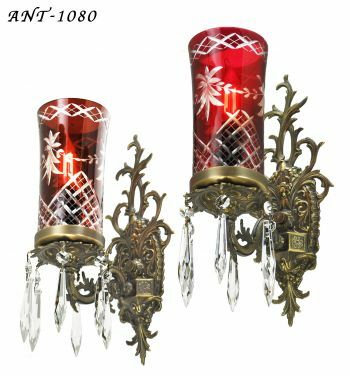 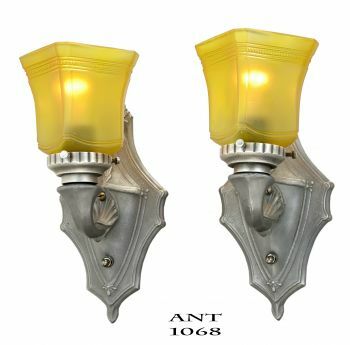 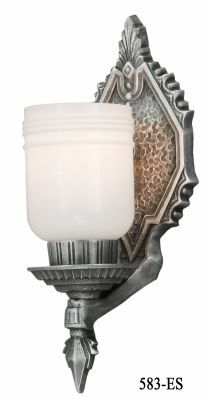 Price: $1,250.00 sold complete, and ready to install with glass shades as shown, plus normal shipping charges.